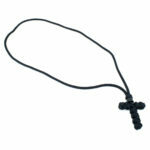 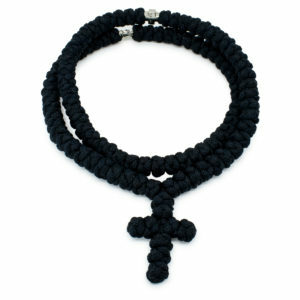 This black woven cross necklace is magnificent. It’s simple and elegant. 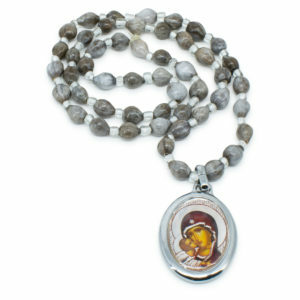 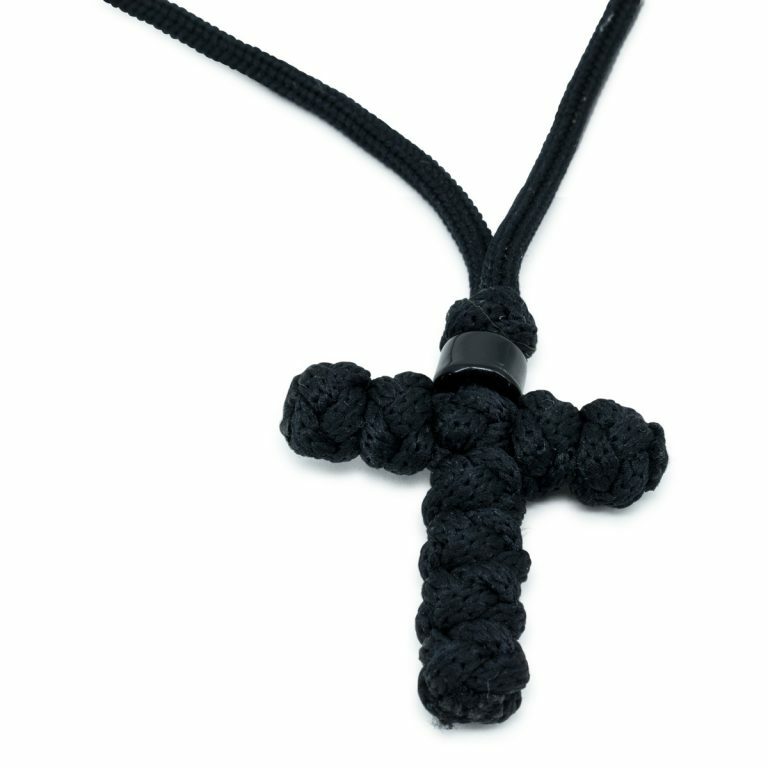 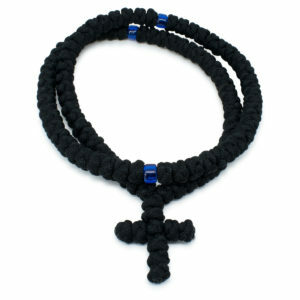 It features a woven cross with a black bead. 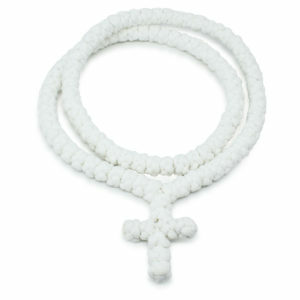 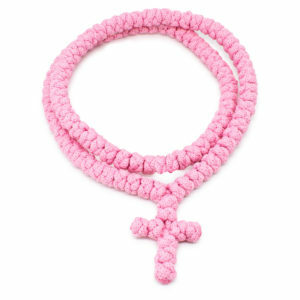 The cross is knotted with the traditional prayer rope knots.